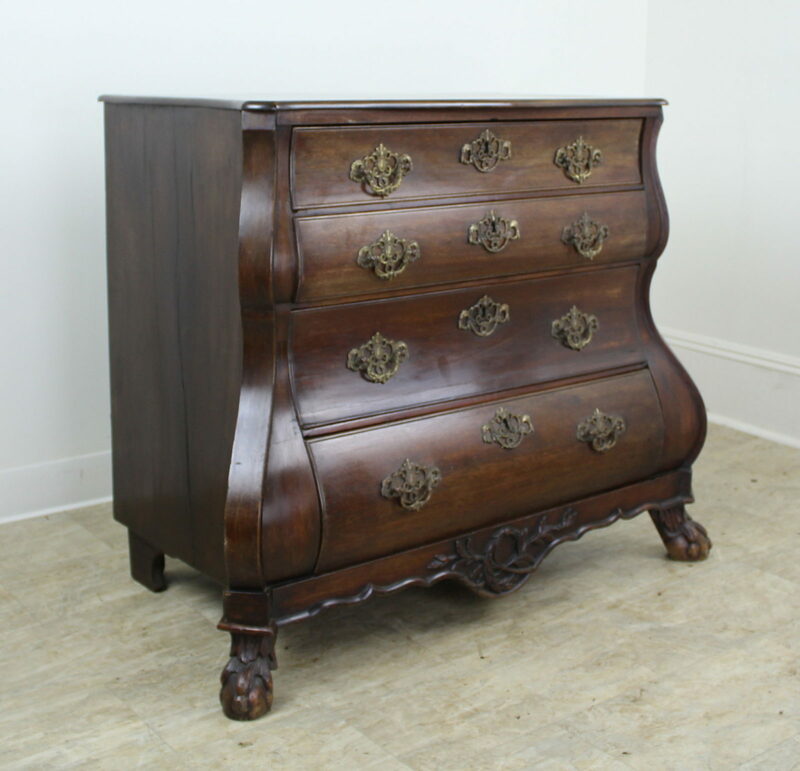 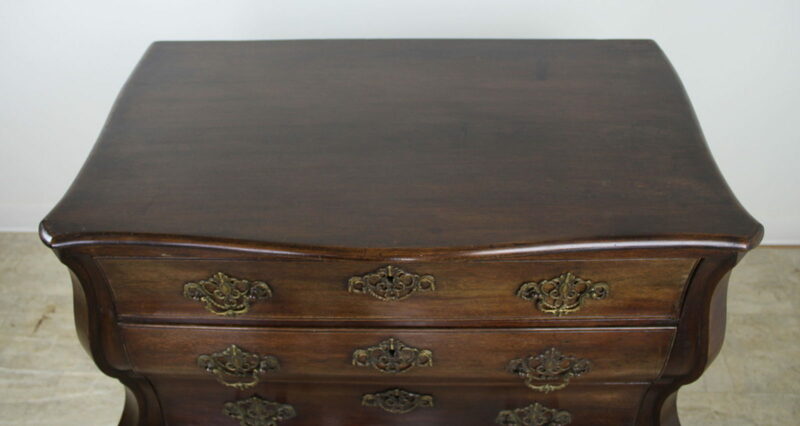 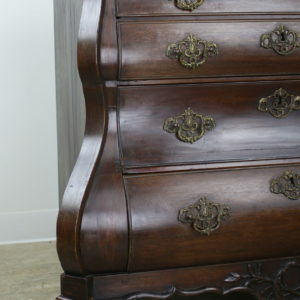 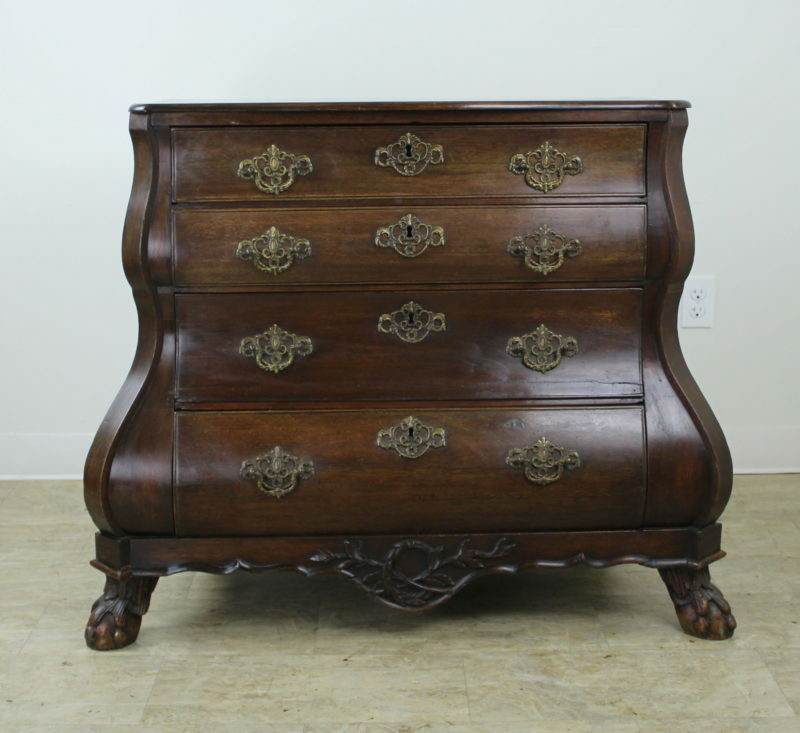 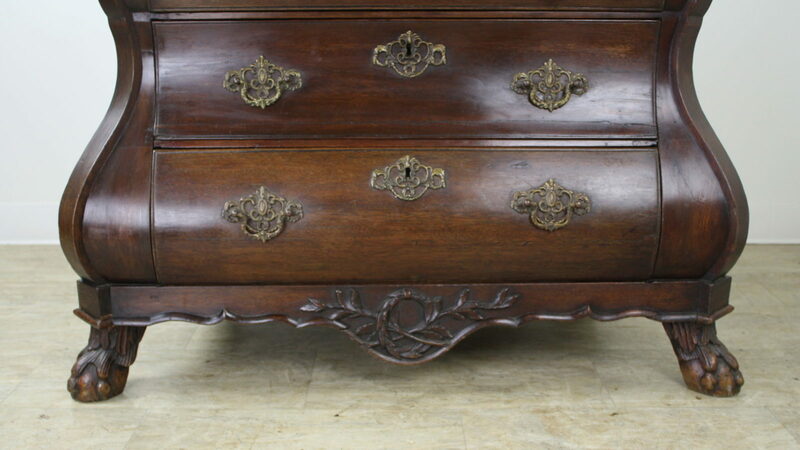 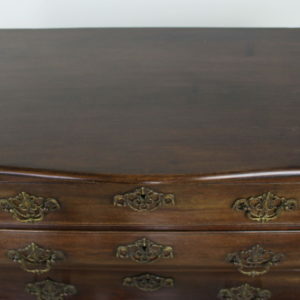 Fabulous early Dutch bombe chest, grand in presence. 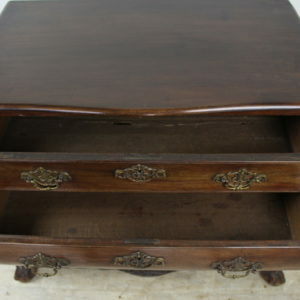 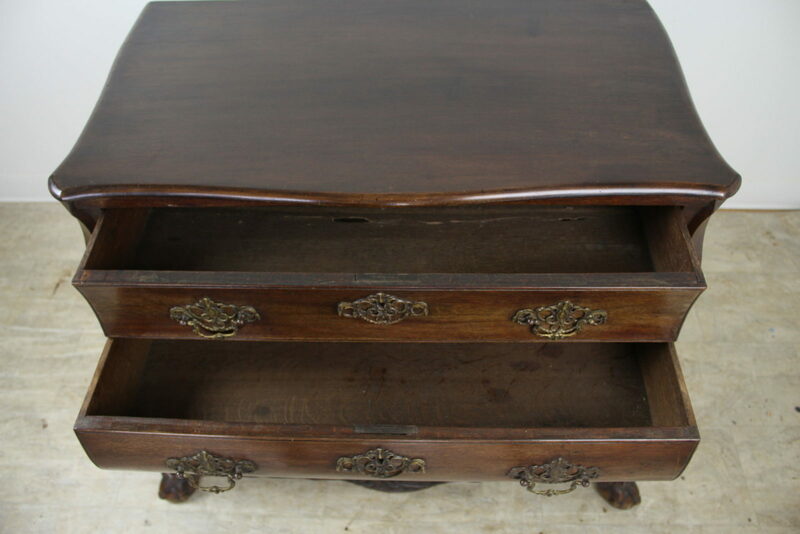 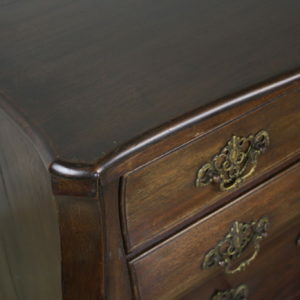 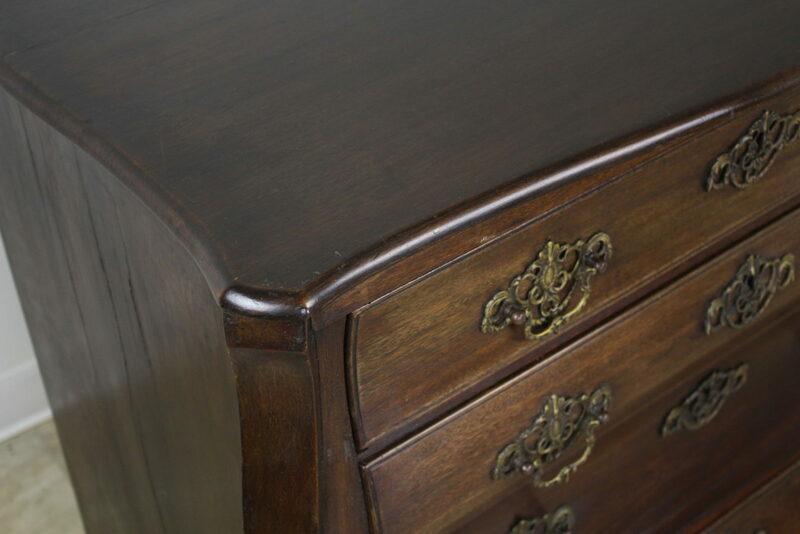 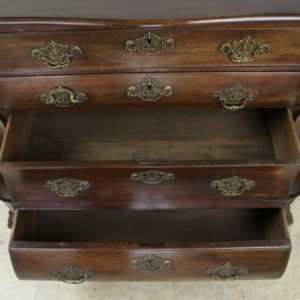 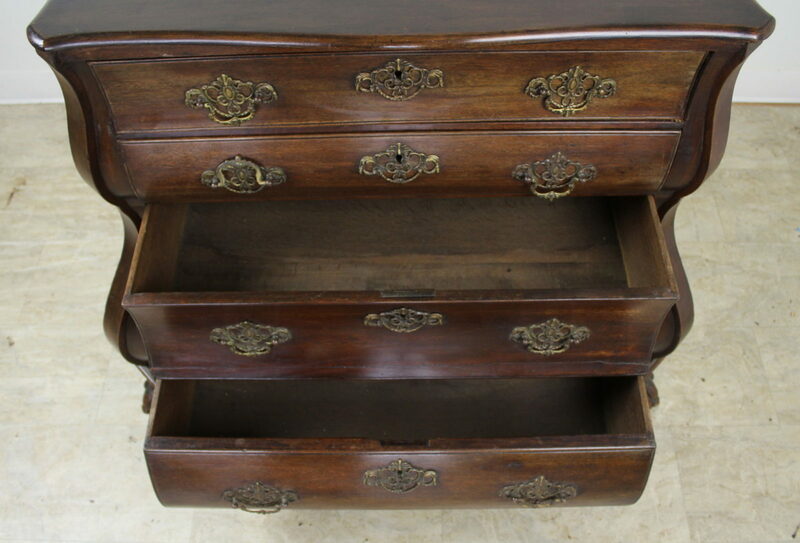 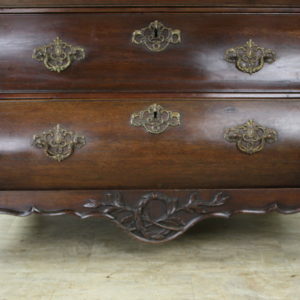 This four drawer bureau is made of dark oak with a beautiful color and rich patina. 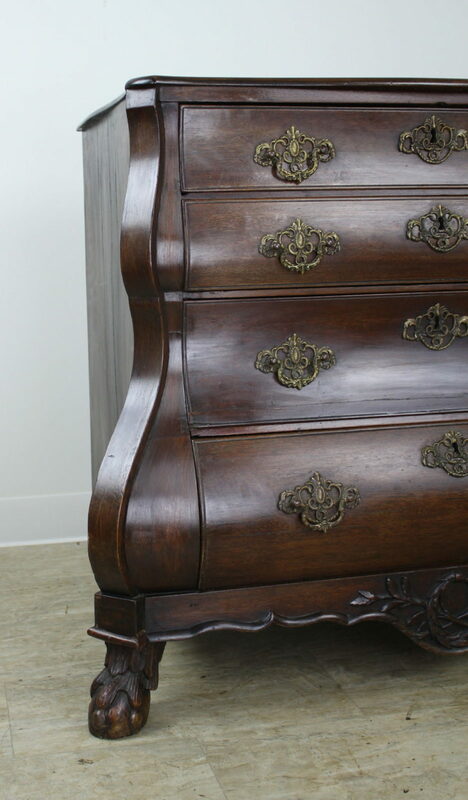 Details of note include all original handles, shaped and decoratively carved apron on the front, and gently curved edge to the top. 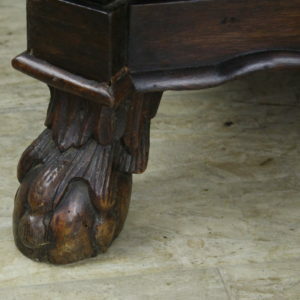 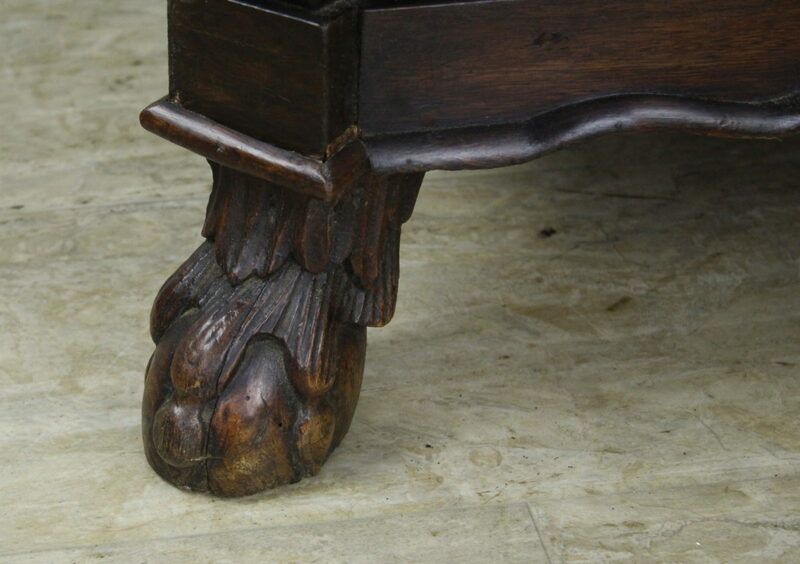 Great articulated claw feet!